As one of the leading shopping center maintenance experts in Brooklyn, we focus on providing our commercial maintenance services to the big places such as shopping centers, malls and more. Being a big place, it is not easy to maintain them. Security and cleanliness are two main concerns of any shopping mall owner. The flexibility of our services make us help you in both. Pave USA experts are on 24 hour emergency services. Whether you need immediate janitorial service or cleaning of the graffitti, we will be there. Our expert technicians are also trained and experienced for the shopping center sweeping in Staten Island. 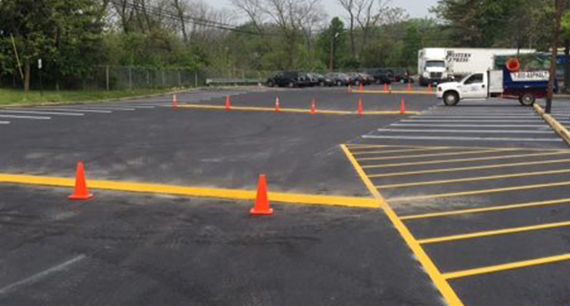 We are adept in power sweeping the parking lot, fence repairs, curb repairs and more. We are a full service concrete provider for commercial shopping centers, office buildings, residential, and industrial projects.We are also preferred concrete and paving subcontractor for various general contracting companies. Call us at 1-877-728-3872 for an immediate quote! Hire the leading experts of shopping center maintenance in Queens! As one of the leading experts for shopping center sweeping in Staten Island, we focus on providing our clients with top notch services. Our experienced and trained experts have state of the art equipment and are trained in all above mentioned services. Want a quote? Want to talk about estimate? Call us at 1-877-728-3872 or email us at info@paveusainc.com.